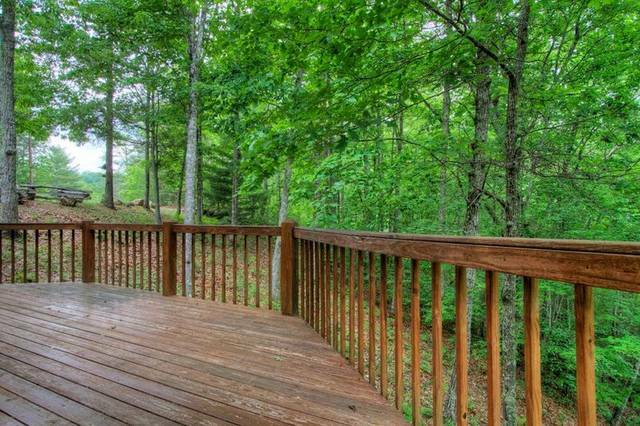 Ride into the sunset at Saddle Ridge. 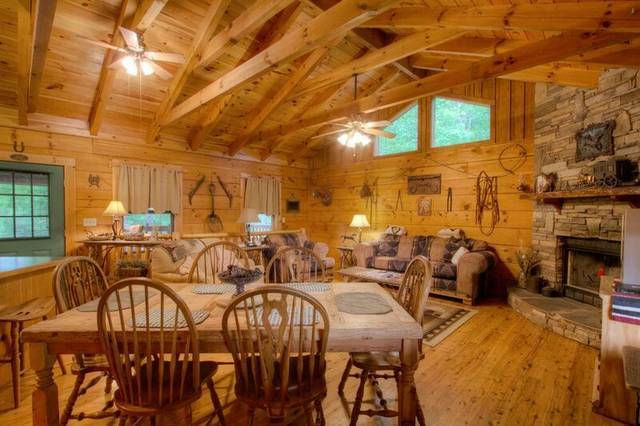 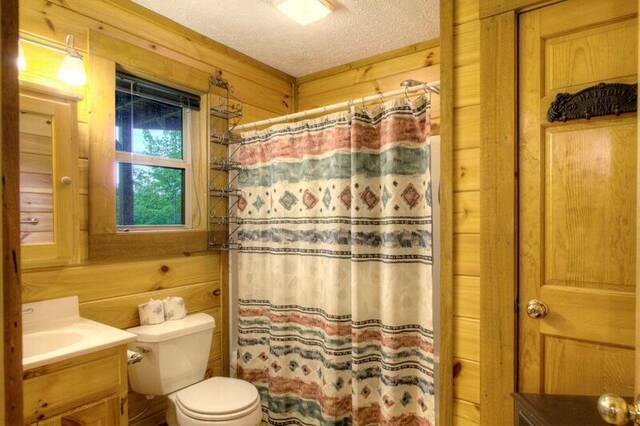 This rustic cabin offers all the peace and quiet you could wish for, and more! 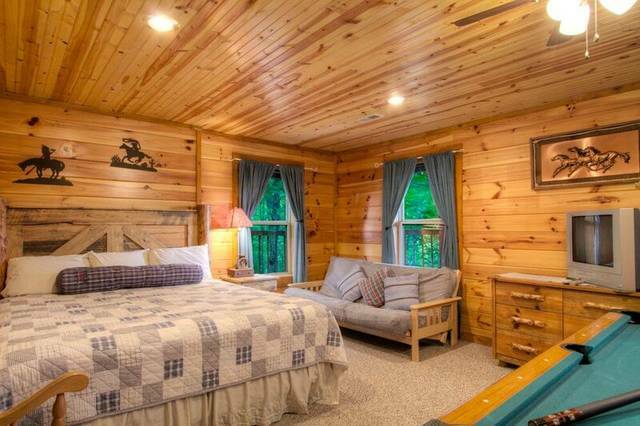 Located in beautiful Wears Valley, Saddle Ridge is perfect for honeymooners and couples seeking to get away from it all. 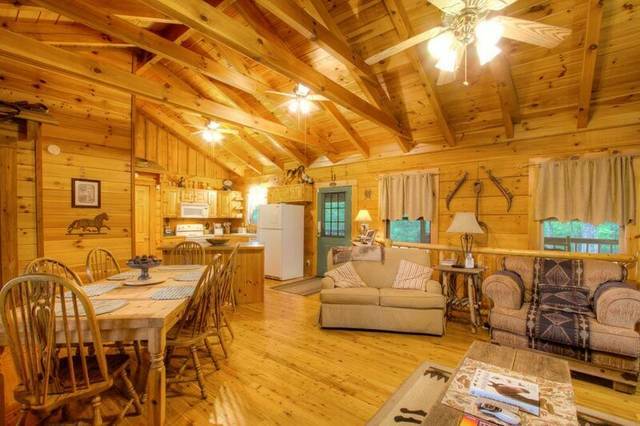 Saddle Ridge - Giddy Up! 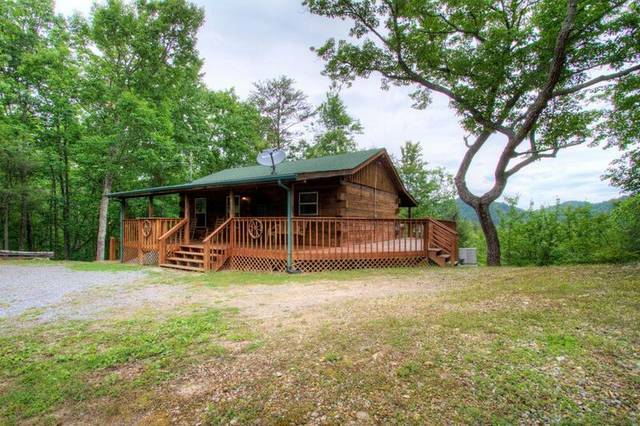 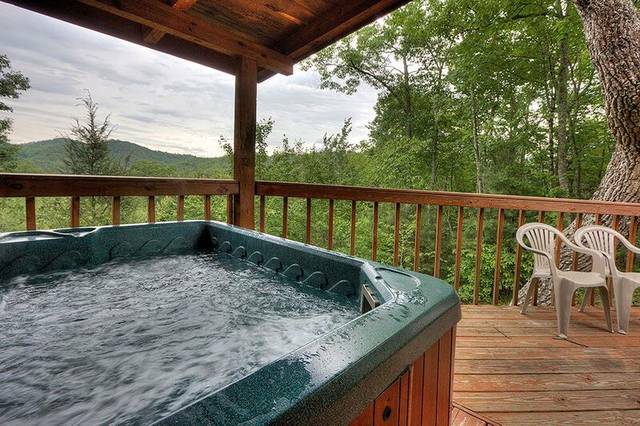 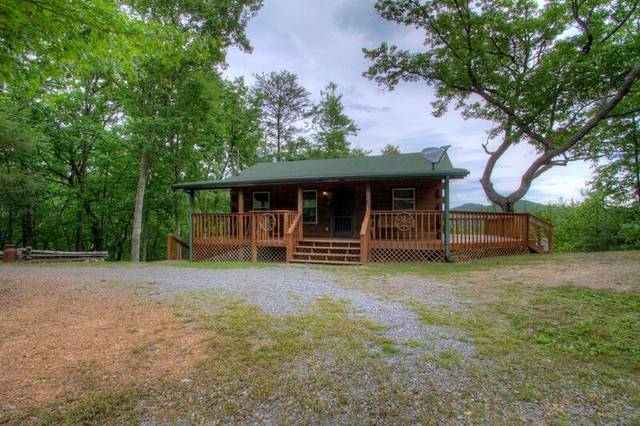 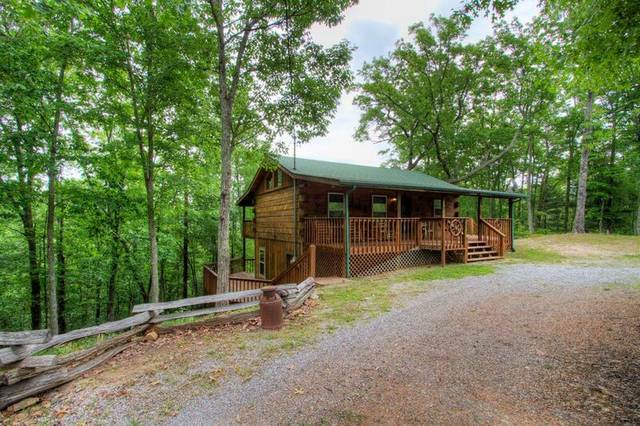 Located on a private country road in the heart of Wears Valley, just minutes from Pigeon Forge, Townsend and Gatlinburg, Saddle Ridge is a great choice for couples looking to escape from the hustle and bustle. 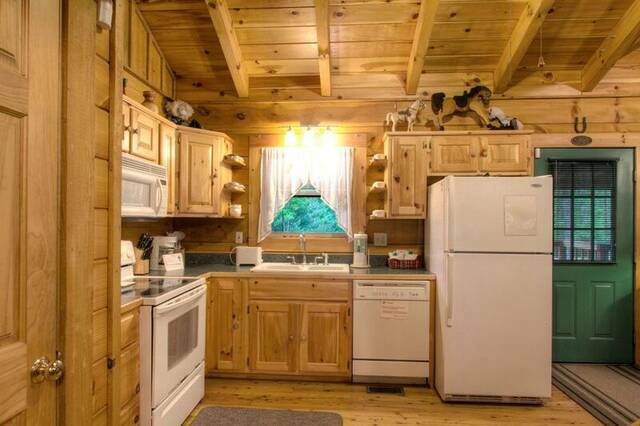 The main level has a fully furnished kitchen with a large dining table. 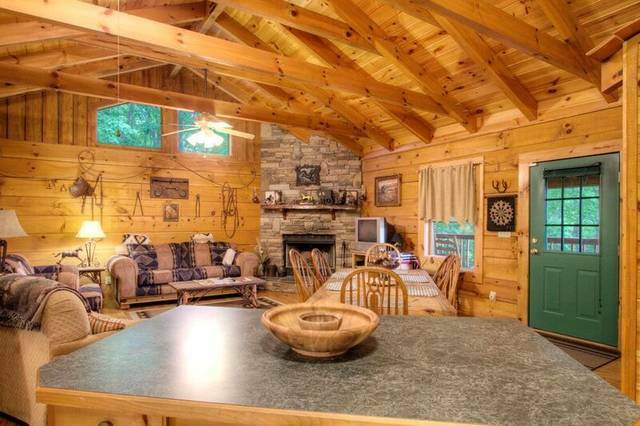 The living room has a cozy wood fireplace (seasonal), satellite TV with VCR and DVD players. 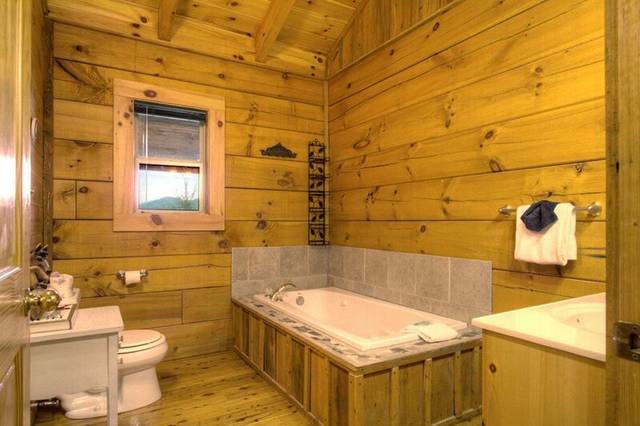 There is a full bathroom on the main level (soaker tub, NOT JETTED). 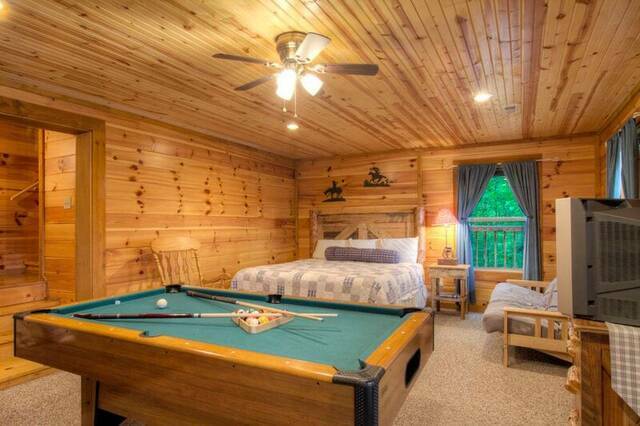 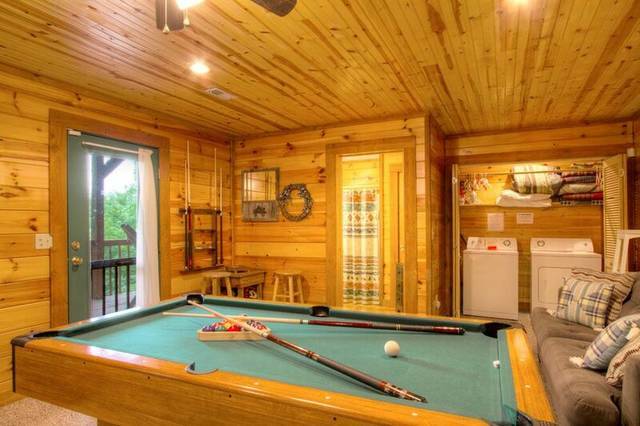 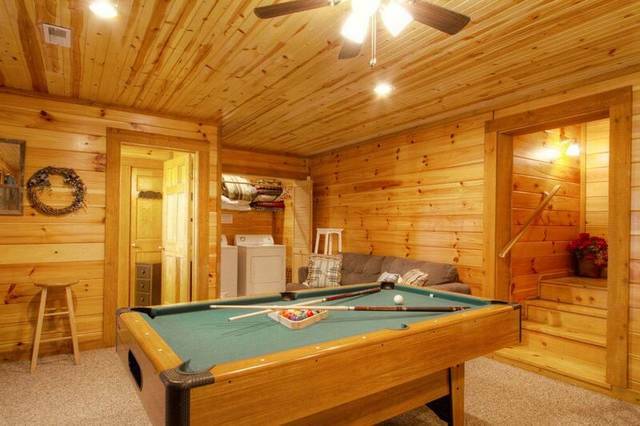 On the lower level you will find the master suite containing a King sized bed, satellite TV with DVD and VCR, a full size futon, pool table and a full bathroom with a tub/shower combo. 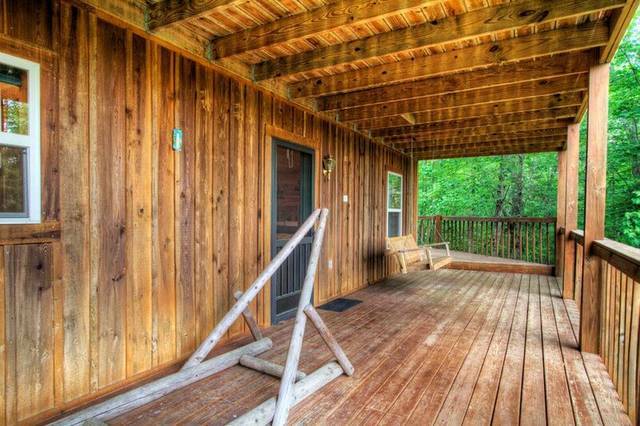 Enjoy walking out onto the deck to relax in one of the rockers. 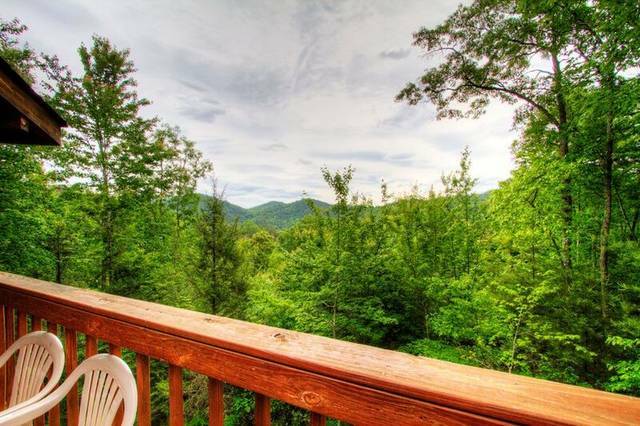 Yes this is Smoky Mountains Paradise. 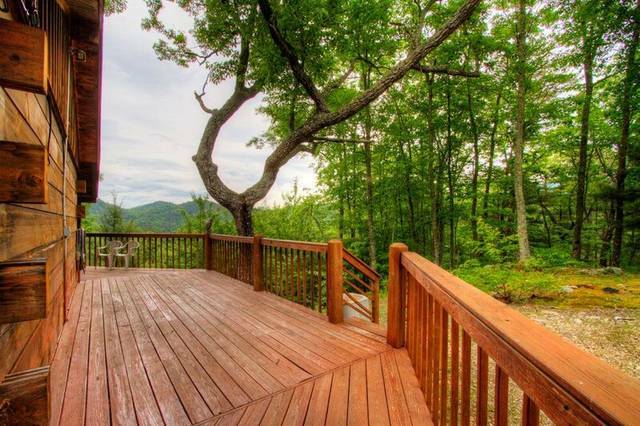 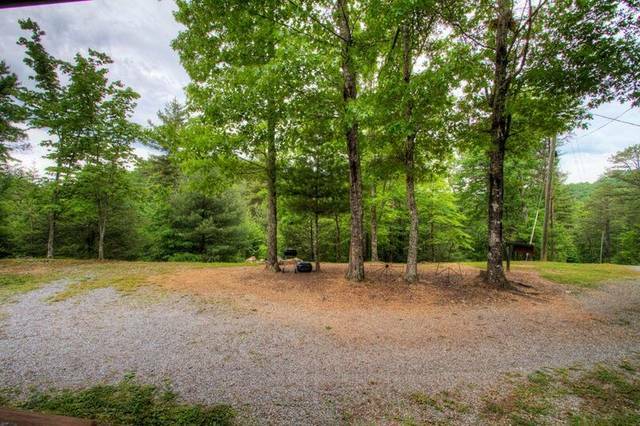 There is nothing better than grilling out and taking in the fresh mountain air. 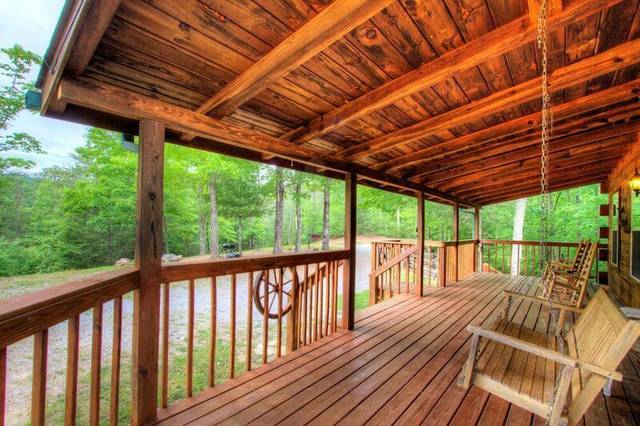 Enjoy a picnic outdoors on the covered porch and relax... you are on mountain time. 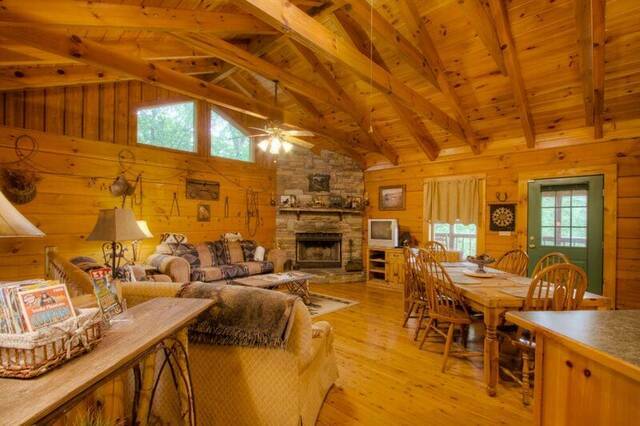 Choose Saddle Ridge if you are looking to escape from it all. 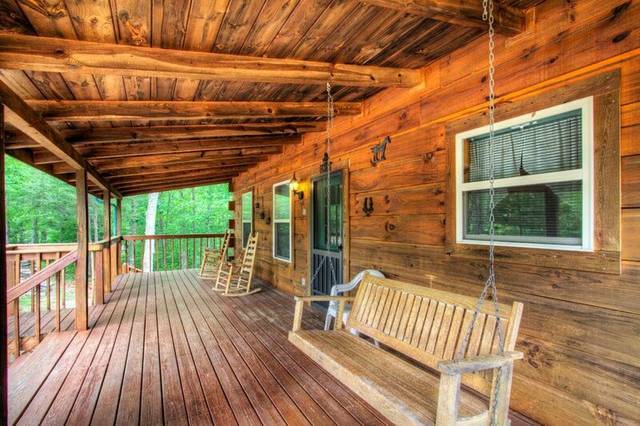 Located in Wears Valley just down the mountain from The Preserve Resort, Saddle Ridge offers rustic charm and a chance to escape from it all. 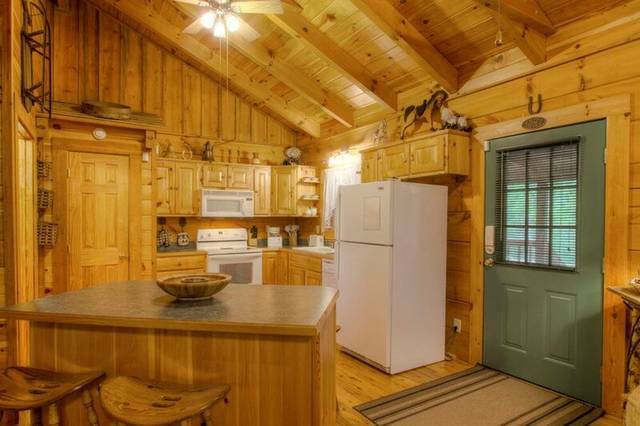 We wouldn't change a single thing, we loved the cabin.